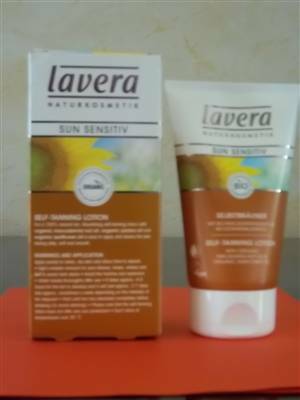 Lavera Self Tanning Lotion with organic macadamia nut & sunflower oils, jojoba, aloe, rosewater, camelia, lavender water, soy oil. Takes 4-5 hours to tan to develop and lasts approx 3-7 days. Use 1 - 2 x week depending on the intensity desired.